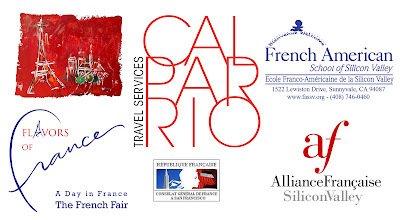 Our next event A French Spring Market will be on Saturday, May 4th in Saratoga, CA. (12850 Saratoga Avenue) from 10 am to 6 pm. 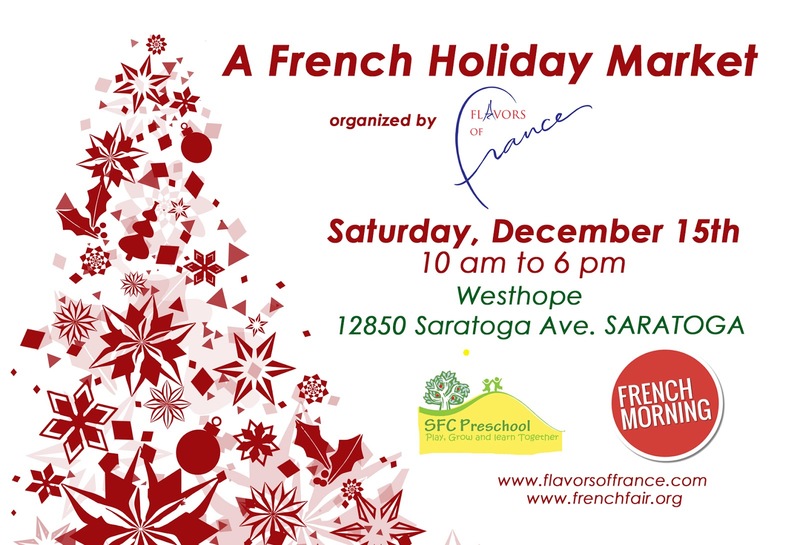 On Saturday, December 15th from 10 am to 6 pm the French Holiday Market will take place in Saratoga at Westhope 12850 Saratoga Avenue. Come have fun and shop for the Holidays! We will have 40 French vendors and artists for your last minute Holiday shopping. 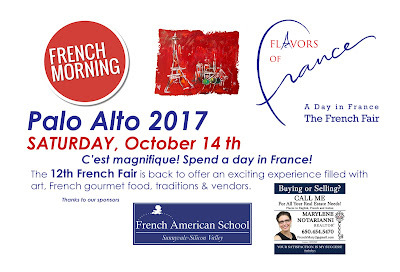 Taste delicious French gourmet food: crepes, waffles, pastries, delicatessen, BBQ, tartes flambees and much more. Santa will be there too to take pictures with your kids and we will also have a bouncy castle both offered by Saratoga French Cultural Preschool. 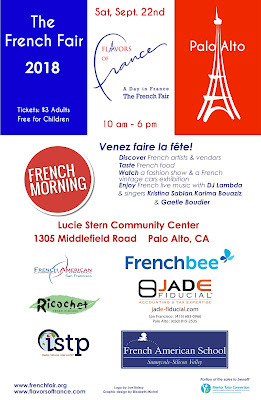 We will also have live Holiday music and French songs with French singer Gaelle Boudier. Free Admission. Indoor and Outdoor Event. Click on link to buy your ticket. 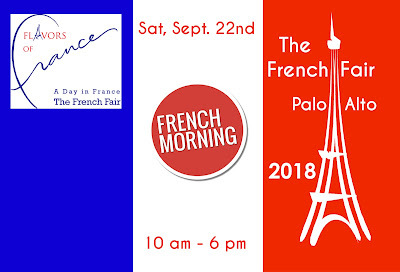 Platinum Sponsor : French Morning, leading online media for the French living in the United States. Featuring Ricochet by Jill Pillot, Skintie & Atelier Vertex, Les Petits Carreaux, Raidah Designs & Flower Couture. Saturday, October 14 th, 2017. Tickets will also be available at the door cash only. Lucie Stern Community Center was being remodeled last Spring so we are looking forward to exceptionally having the event in Fall after the remodeling. 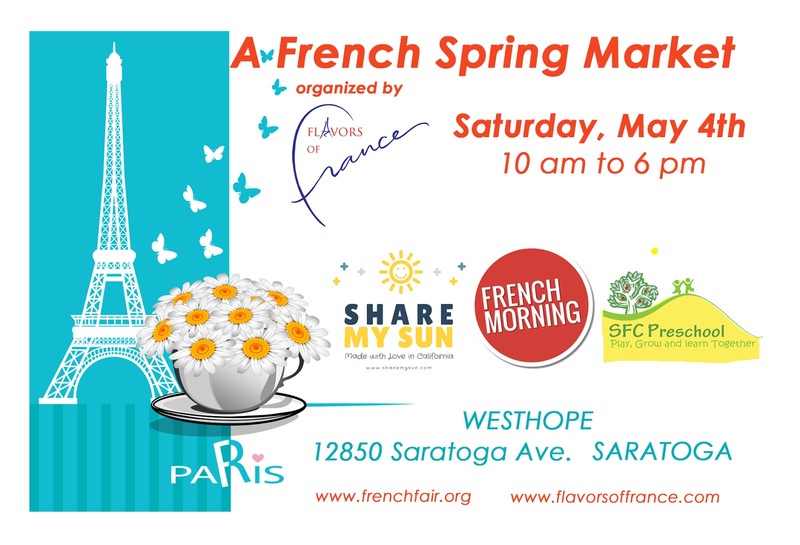 A French Spring Market - Saturday, May 6th, 2017. 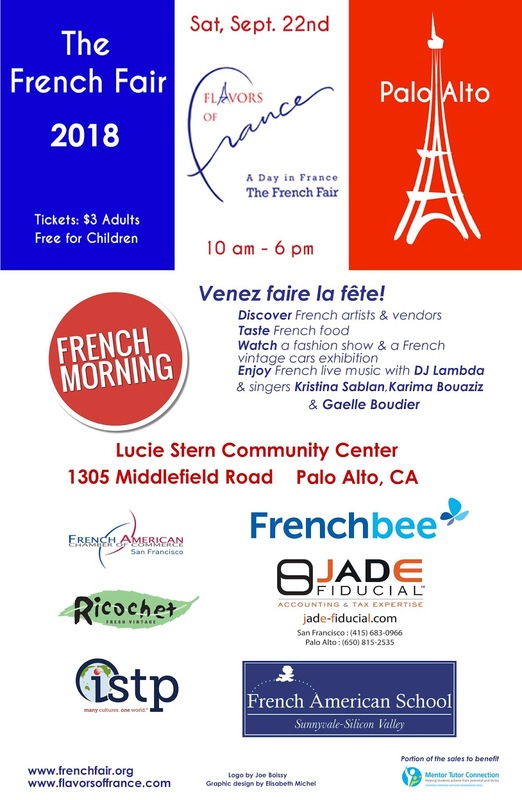 On Saturday from 10 am to 6 pm, the French Spring Market will take place at the French-American School of Silicon Valley (FASSV) , 1522 Lewiston Drive in Sunnyvale. 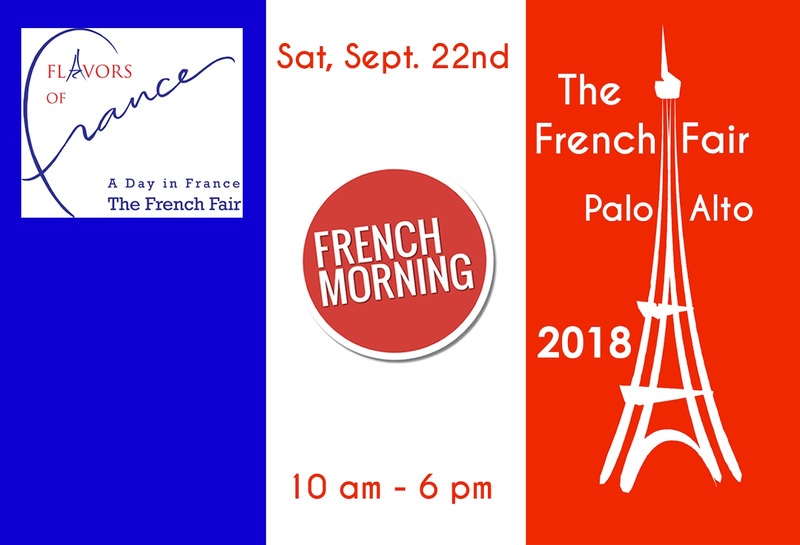 This is an event for the whole family with delicious French food, crepes, delicatessen, delicious chocolates and jams ... as well more than 20 French vendors, artists and artisans. On Friday, March 18th we will have children activities in the afternoon and a music event in the evening. 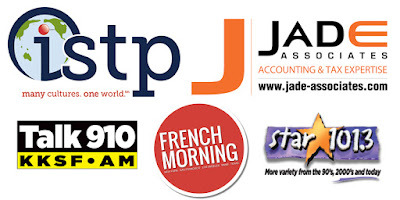 Click on the get tickets to buy tickets for the Friday event. On Saturday, the event is free but please get also your free tickets on the same page, this helps us keep track of attendance numbers. Thank you. 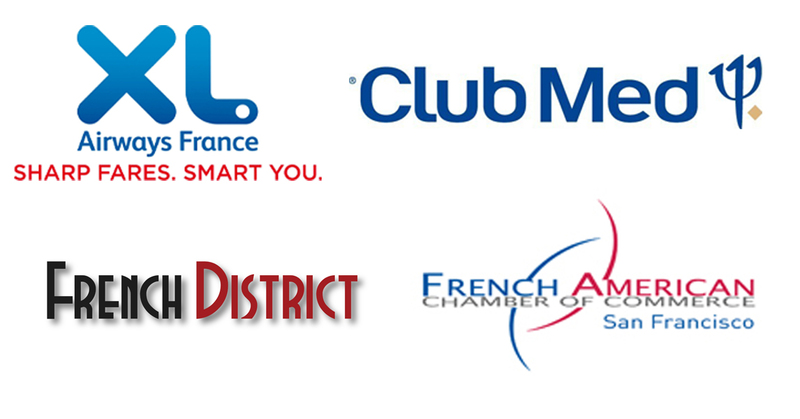 Calparrio Travel Services in partnership with Club Med will offer a land only all inclusive 7-night for 2 vacation in a dream location: Cancun, Punta Cana, Ixtapa, Sandpiper Bay, Turkoise or Columbus Bay. 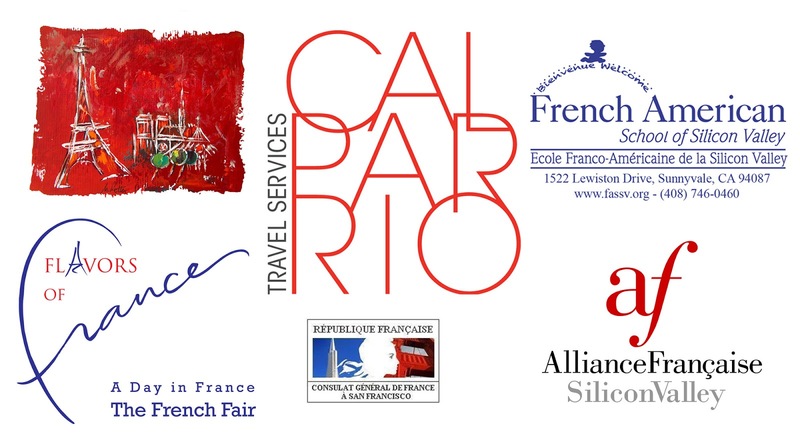 XL Airways will offer 2 return tickets Paris - San Francisco. As well as other prizes offered by our vendors. 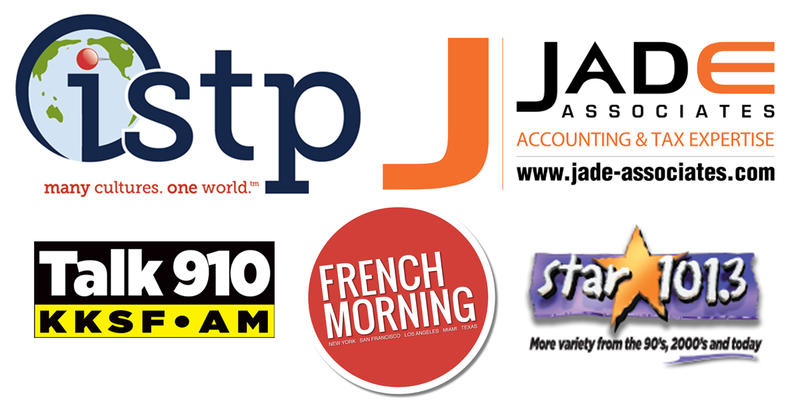 There will be some great prizes to win also on Talk 910 Radio on the Cory & Joel show starting 03/14 and announcements about the French Fair on 101.3 Star radio. PetitsConfettis cake pops with Saveur Provence! For the kids 3 to 6 years old and their mom and/or dad. Funny activities, all in French! Enjoy a cooking class with Saveur Provence Personal Chefs Cathy & BeatriceYou will learn how to make 3 cake pops and will decorate them and bring them home (or eat them first!! )And while you will be waiting for your cake pops to get ready, you'll create your own Chef hat! 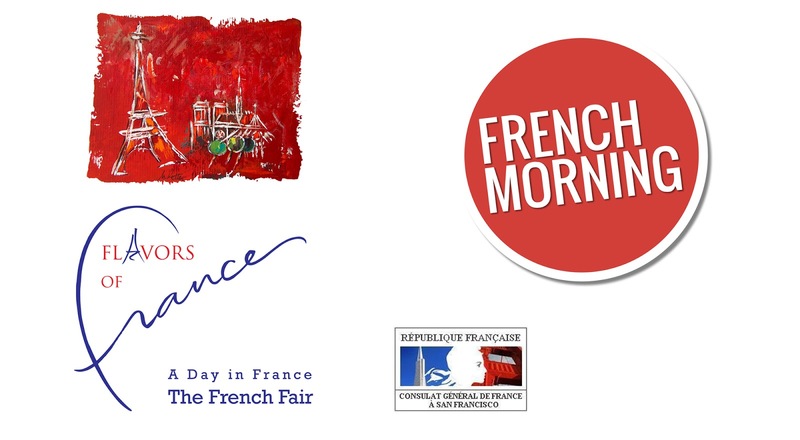 Come and listen to the French stories of Nounours & Veronique Participate to their adventures through songs, dances, stories and Chinese shadows! And come back home with your theatre and Chinese shadow created by... your child! The classes are specially designed for kids to promote mental and physical health. The objective is to develop musical, motor and auditory skills. They focus on building self-confidence and self-control. We use a wide variety of music including Pop, Hip-Hop, contemporary, Latin and more. The show will start at 7 pm sharp! To attend you have to be over 21.